Skiing and snowboarding in Japan is the hottest winter sports ticket in the world at the moment, and why wouldn’t it be: it consistently records the lightest and driest snow on earth, and it falls in quantities that’ll make your head spin – every time! Let’s be clear – Japan is no longer a secret. Every year, thousands of Aussies head to Japan in search of powder, good food and a good time; in fact too much of a good time, a trend which has turned some resorts into something akin of Bali on ice. However, suffice to say, there are many more resorts in Japan than some might believe, and certainly more than the half dozen or so frequented by Aussies. In fact, Japan is home to 600 odd ski resorts and some of the very best (and lesser known) are in Honshu, with many in the Nagano prefecture; including Madarao. 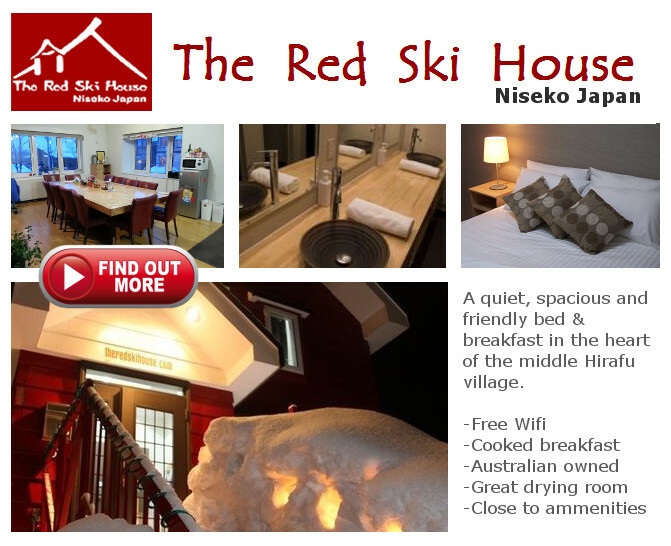 Nestled comfortably between the historic Nozawa Onsen Ski Resort and the popular Myoko Kogen Ski Resort is Madarao Kogen. Madarao Mountain Resort ticks all the boxes: family friendly; powder galore, a good variety of terrain, uncrowded, and authentically Japanese, but without trying to be Japanese; it just is…just check out these videos. If it’s piste skiing you’re looking for, Madarao has 30 ski runs with an even mix of beginner, intermediate, and advanced. However, beyond that, Madarao offers so much more than this – beyond the piste skiing is literally hectare upon hectare of off-piste skiing, including some of the best tree skiing in the world. “I’ve skied Madarao 4 times in the last 5 years, and I can say the resort and the trees skiing are simply mind-blowing” Regan Yan, Sydney. At Madarao, they don’t just allow tree skiing; they encourage it. Yes, many resorts in Japan have truly great tree skiing potential, but the beech trees and bamboo all too often get in the way. Not in Madarao; here the resort maintains a program of “glading” or forest thinning, resulting in a series of totally unimpeded tree-skiing, often full of knee to waste deep powder. Accommodation options in Madarao are numerous, but this season Snowriders Australia is proudly supporting the Active Life Group, a series of newly refurbished Australian-Kiwi owned lodges in the heart of the Madarao resort (bear with us, this is no ordinary sponsored content!). Active Life provides a ski in ski out sanctuary, complete with your choice of a variety of spacious western or Japanese style rooms with a range of luxuries, wifi, and your choice of three styles of bed: hard, firm, or ‘dream’ – the three bears would be right at home! Each of the lodges, Active Life, Hakken and Xplore, have their own bars and restaurants, serving Japanese tapas style food, or in the case of Hakken, delicious vegetarian specialties (the Buddah bowl and tacos are to die for!). Hakken’s famous Buddah bowl and tacos! Upon arrival, you’ll be greeted at the accommodation by English speaking staff, who’ll show you to your rooms and help you settle in. All lodges are serviced with free wifi, steaming hot public baths, boutique bars and restaurants and generous drying rooms. There are many different styles of rooms: from basic backpacker-standard rooms accommodating 2-3 people, to luxury ensuite family rooms, which comfortably accommodate 4 people. Places are very limited. For further information, please don’t hesitate to send us a message via our contacts page, or send us a personal message via our Facebook page. 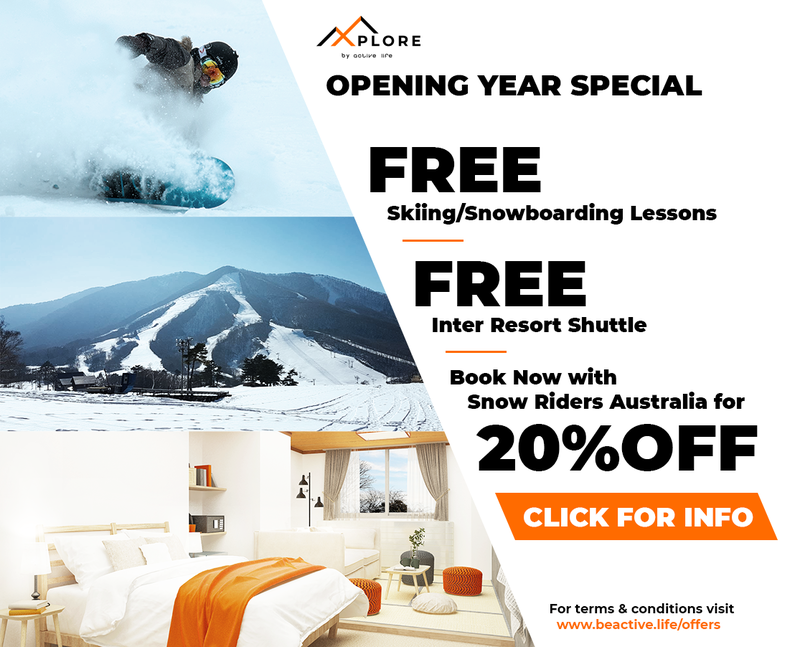 If booking directly, make sure you mention Snowriders Australia. We’ve worked really hard with our partners at Active Life Group to bring you the best deal possible. Accommodation stats at ~$97 per person per night for a basic shared twin room. Accommodation costs include breakfast, FREE lessons and FREE shuttle bus transfers to nearby resorts! Such a deal is rare and new for the Active Life Group. For example, the offer for FREE lessons alone represents a saving of about $AUD 50 pp per day (or $AUD200 a day for a family of four). See our events page for more information.